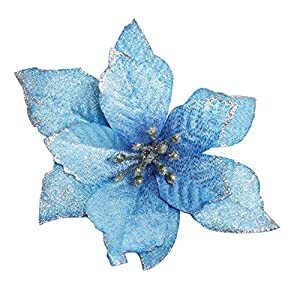 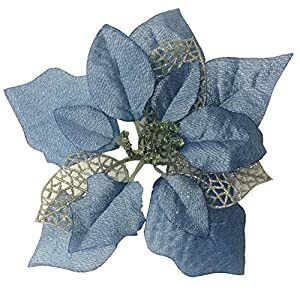 – Subject matter: Silk flower. 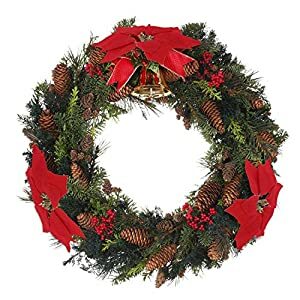 – Size: 21cm/8inch in diameter. 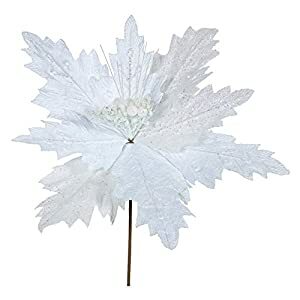 – Lifelike Synthetic flower that is still just as fresh-taking a look and lovely year after year. 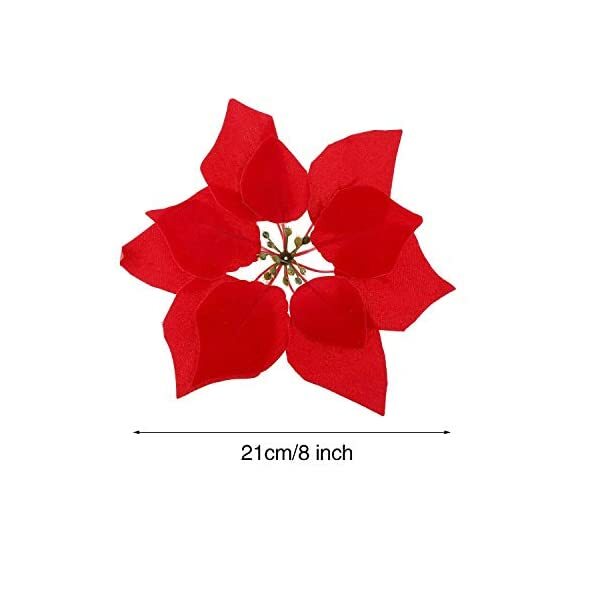 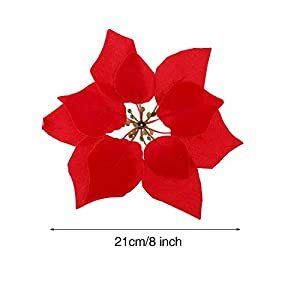 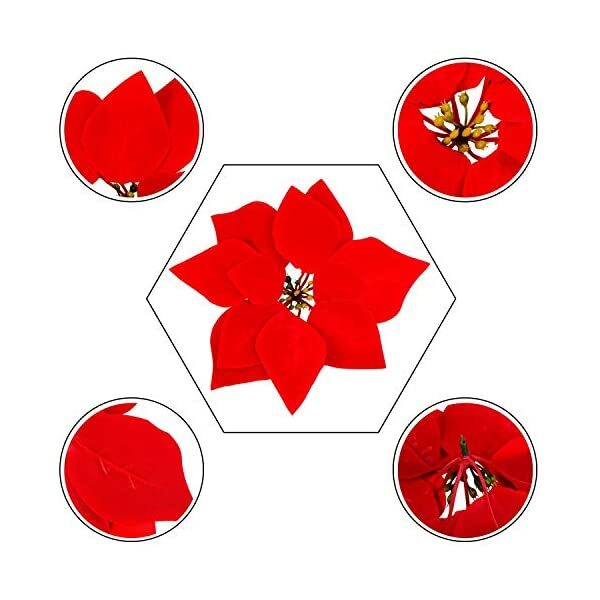 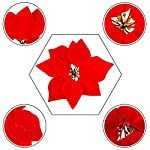 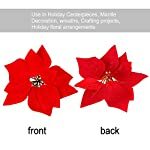 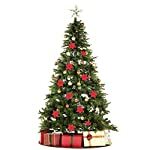 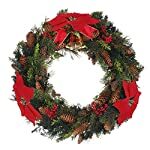 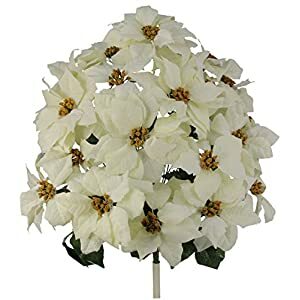 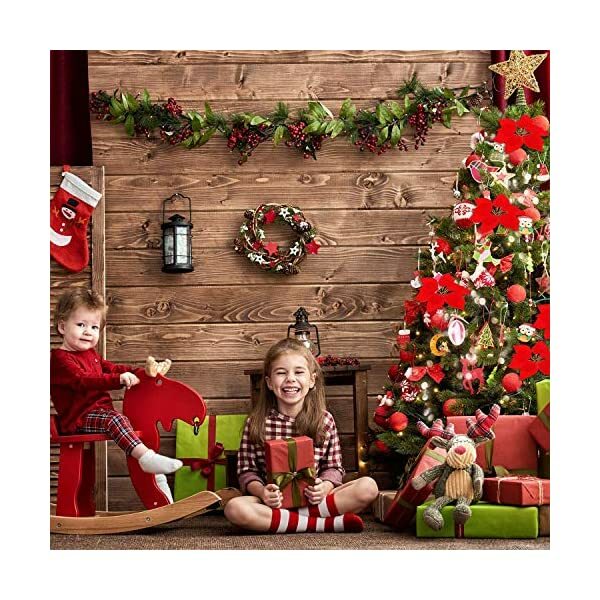 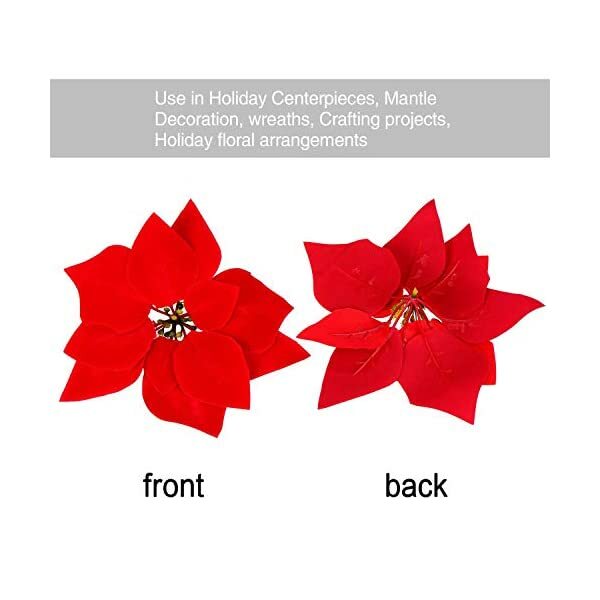 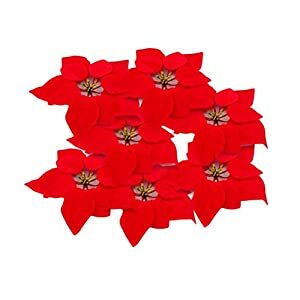 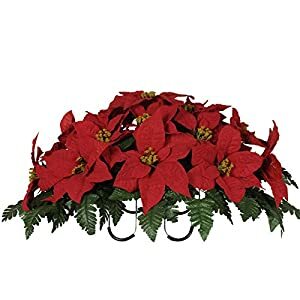 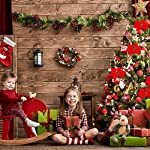 -Synthetic poinsettia flower heads would be the beautiful addition to your Christmas tree, Christmas front door wreath, cedar hanging vine and table centerpiece arrangements decor. 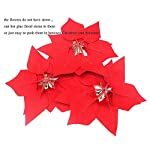 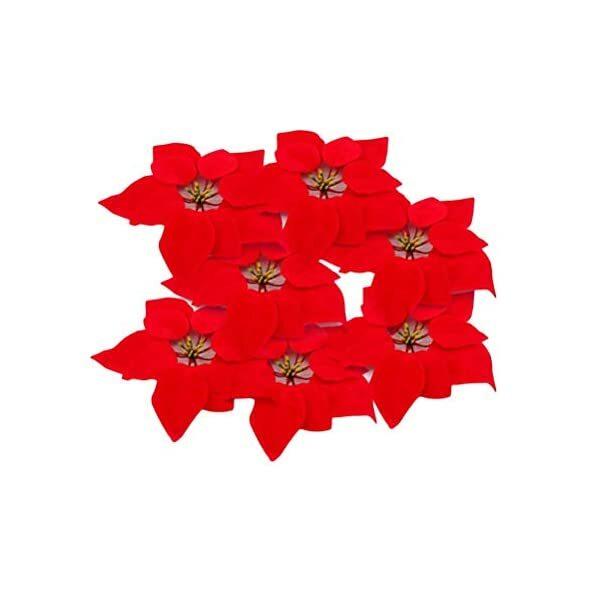 – Poinsettia flowers remain the preferred Christmas holiday flowers. 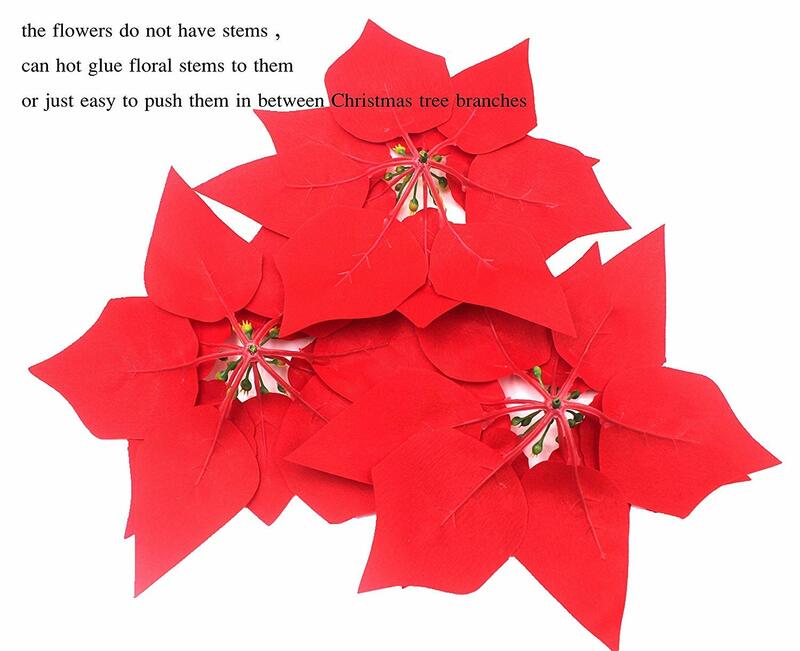 – Decorate your own home with these flowers and add festival atmosphere. 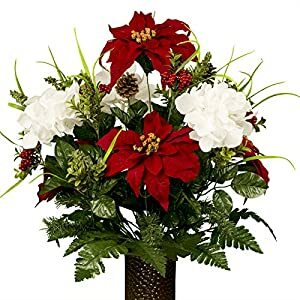 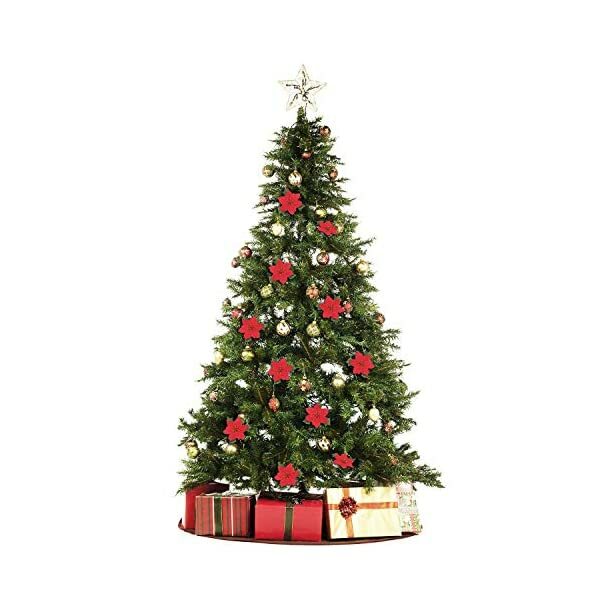 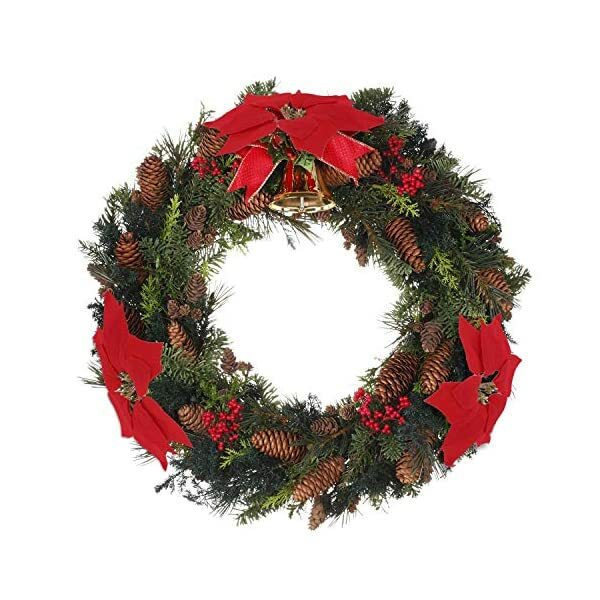 Simple to Use: use by myself or in an arrangement with other assorted holiday flowers and greenery. 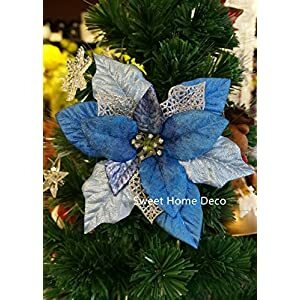 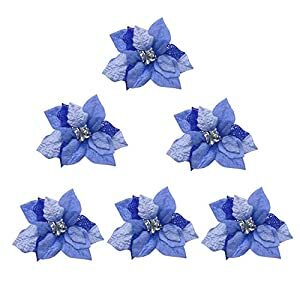 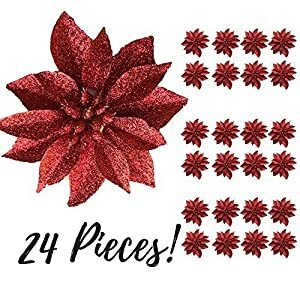 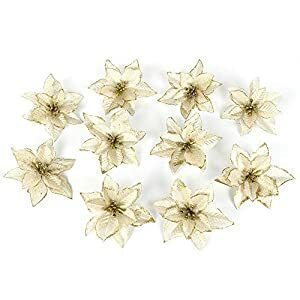 The flowers shouldn’t have stems, just put them in Christmas tree branches, if you wish to stick them tightly, can use hot glue to stay, no hooks had to attach.